If you have been arrested for a criminal offense in Gulf County, including the areas of Port Saint Joe and Wewahitchka, contact the Tallahassee-based criminal defense attorneys at Pumphrey Law. Our legal team can help you defend your rights and future against any criminal offense you are facing. Charges such as domestic violence, drug charges, sexual offenses or a DUI, can be extremely hard to face on your own. An experienced and trusted criminal lawyer will be by your side through every step of the legal process, from the first initial hearing in front of the judge to every subsequent appearance or trial. 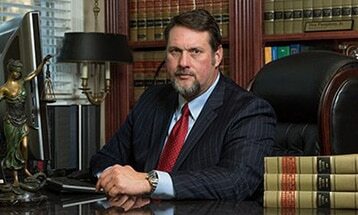 The attorneys at Pumphrey Law have decades of experience fighting criminal cases in the Florida court system. This experience and dedication to criminal defense is a great asset to have on your side after being charged with a crime. If you’ve been accused of a crime in Gulf County, it’s important to carefully consider your options. Many times a criminal accusation falsely occurs because of misinformation and no fault of your own. Such an offense like probation violation in Port Saint Joe can occur as the result of improper reporting or procedure by your probation officer. Your criminal lawyer will use this to your advantage to have your charges potentially dropped. The actions you take can have a great impact on your future. The aid of a criminal defense attorney can help you determine the best possible course of action to pursue, in addition to defending your rights in court. Specific data relating to the demographic makeup, crime rates, household income and employment rates of the county can be found through this link. If you or a loved one is facing criminal charges in Gulf County, getting advice from an experienced Florida criminal attorney can greatly increase your chances of a favorable outcome. Call Pumphrey Law today at (850) 681-7777 or contact us via an online message to schedule a free consultation with a lawyer. Let our experience help you during this difficult time.